We are Manufacturers and Exporters of Cu-Ni 90/10 Pipes, Cupro Nickel Alloy 90/10 Seamless & Welded Pipes & Tubes, Copper Nickel 90/10 Pipes and Tubes Supplier in India. Neon Alloy is acknowledged as a manufacturer, exporter & suppliers of Copper Alloy, Cupro Nickel 90/10 Pipes & Tubes. This form of cupro nickel pipes & tubes produced by Neon Alloy possess excellent resistance to corrosion by sea water as well as high resistance to erosion corrosion and air-impingement attack. Our range of Copper Alloy Cu-Ni 90/10 Pipes & Tubes is used in energy producing and transforming equipment. These also find application in pulp and paper industry, petrochemical industry. Cu-Ni 90/10 pies & tubes are available in Round Pipes/Tubes, Square Pipes/Tubes, Rectangular Pipe/Tubes, Coiled Tubes, “U” Shape, Pan Cake Coils, Hydraulic Tubes. Copper Alloy pipes & tubes are mainly used in industries like Marine: Sections cover Cu-Ni in Desalination Plants, Offshore Oil and Gas, Power Generation, Shipbuilding and Ship Repair, Boat Hulls, and Marine Antimicrobial applications. Non-Marine: Coinage; Brake Tubing, Seawater pipework, offshore fire water systems, Heat exchangers and condensers, Hydraulic lines. These Curpo Nickel pipes and tubes can further be customized in terms of sizes and thicknesses as per specific requirements given by our esteemed clients. 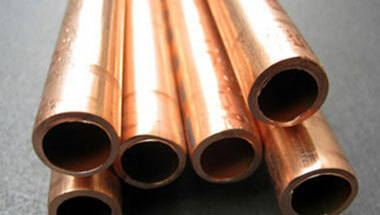 We offer these Copper Nickel Pipes and Tubes at market leading prices. Copper Nickel UNS C70600 ERW Pipes & Tubes Manufacturer. Cu-Ni 90/10 Tubes Supplier, Cupro Nickel Alloy 90/10 EFW Pipes Exporter. Turkey, Morocco, Kuwait, Ethiopa, Egypt, Sri Lanka, Kazakhstan, Saudi Arabia, Argentina, Ghana, Canada, Australia, Thailand (Bangkok), United States, Mexico, Uganda, Dubai, Democratic Republic of the Congo, UK, Africa, Russia, Peru, South Africa, Angola, Germany, Nigeria, Colombia, Iran, Malaysia, Trinidad and Tobago, Tunisia, Azerbaijan, Mozambique, Jordan, Cameroon, New Zealand, Bahrain, London, Iraq, Chine, Brazil, Houston, Israel, Vietnam, UAE, Sudan, Venezuela, Indonesia, Italy, Algeria. Cairo, Nairobi, Harare, Conakry, Bethlehem, Port Elizabeth, Manama, Kolwezi, Abidjan, Luanda, Byblos, Maiduguri, Ouagadougou, Kampala, Douala, Fez, Mecca, Colombo, Lagos, Ibadan, Dar es Salaam, Maputo, Jeddah, Rabat, Beirut, Abu Dhabi, Cairo, Brazzaville, Benin, Zaria, Mogadishu, Kinshasa, Khartoum, Algiers, Johannesburg, Amman, Lusaka, Bulawayo, Tripoli, Port Harcourt, Dammam, Giza, Alexandria, Singapore, Aqaba, Durban, Addis Ababa, Accra, Subra al-Haymah, Cape Town, Riyadh, Lubumbashi, Doha, Pretoria, Tehran, Istanbul, Data from the UN, New York, Casablanca, Kaduna, Bamako, Soweto, Tel Aviv, Dubai, Antananarivo, Omdurman, Yaoundé, Sharm el-Sheikh, Muscat, Dakar, Hong Kong, Freetown, Kano, Jerusalem, Mbuji-Mayi.